We’ve been fortunate to enjoy a mostly mild winter so far in Boulder County but temperatures are expected to stay in the 20s next week and a few more frigid days are sure to come before Spring arrives. The cold weather doesn’t deter the staff at Scoopy Doo’s of Longmont in our dog poop scooper service, but we thought we’d provide the following tips so our clients can ensure their pets stay safe and warm during these last days of winter. 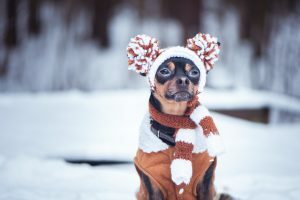 Keep pets indoors– Pets noses, ears and paw pads can freeze quickly, and they are at risk for frostbite and hypothermia when the temperature drops. Very young or old dogs should always be supervised outside, and short-haired dogs may need the added protection of a sweater. Take precautions when outside– When pets are kept outside for long periods, they must have a waterproof shelter that is a few inches off the ground with the door covered in heavy plastic and facing away from the wind. Increase food– If your pet does spend time outdoors, they’ll need more food than normal since their body will burn more calories to stay warm. Use plastic bowls– Your dog’s tongue could stick to freezing metal, so use a plastic water dish outside and check it often to ensure it’s not frozen. Protect paws from salt– After walking on treated sidewalks, wipe their paws to remove salt and other chemicals before your pet licks them. Prevent antifreeze poisoning– Be sure to store antifreeze out of reach, especially because it has a sweet taste that could attract your pet. Keep an eye out– If you notice a pet left out in potentially harmful weather take a photo and contact the local animal control agency with the date, time, location and details of the situation. Your pooch is happiest when by your side, so keep them inside in winter- except for walks and to greet the Scoopy Doo’s staff during our regular dog poop scooper service visits! These recommendations were made by the Humane Society of the United States, and found under the Longmont Humane Society’s Dog Care Tips– check out their website for more helpful information! Lawn maintenance can take a lot of work for homeowners with all the watering, fertilizing and mowing so when dead spots start showing up in the grass, it is very frustrating to see all that hard work being ruined. Often the blame is placed on the family dog but how can the problem be avoided? 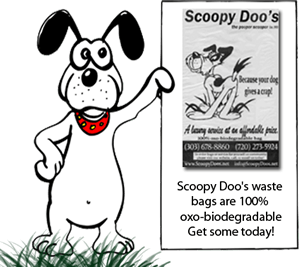 Scoopy Doo’s dog poop service in Longmont can help prevent damage to your lawn from concentrated dog waste. 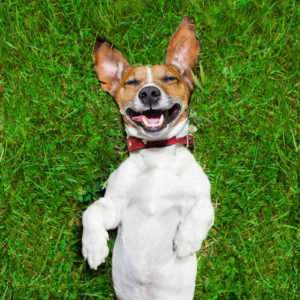 Dr. Thompson emphasizes that the pH level of pet waste is not a factor in the damage done to lawns, so modifying your pet’s diet by adding acidifying supplements, like tomato juice, or alkalizing material, such as baking soda, is not recommended. Actually, both acidic and alkalizing additions to your pet’s diet can increase their risk of bladder stones! A better option is to invest in a food with high quality protein which is more digestible and therefore leads to less nitrogen being dumped in their waste- and smaller stools. The other two recommended approaches for dealing with burn spots were to 1) train your dog to do their business in a separate area from the lawn, and 2) water the grass after it has been urinated on to dilute the concentration of nitrogen. But perhaps the best solution would be to hire a low-cost weekly dog poop service like Scoopy Doo’s of Longmont to keep your lawn looking its best! School is almost out and summer is right around the corner and maybe you’ve decided now is the time to get a puppy! How exciting! Owning a dog can be a wonderfully rewarding experience but it is a lot of work as well. Scoopy Doo’s of Longmont is an affordable pooper scooper service that can take care of the most unpleasant part of being a pet owner and give you more time to enjoy your new family member! 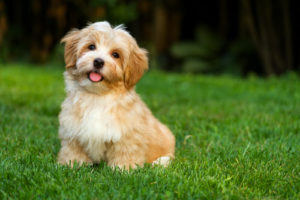 First, all puppies are small (that’s part of what makes them so irresistibly cute) but you should think about their fully-grown size and if your home would be suitable. A large breed is not the best choice if you live in a tiny apartment. 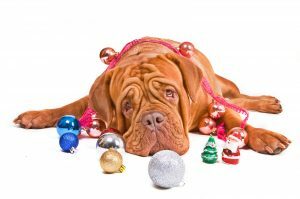 Second, if your pooch will not have access to a yard to burn off their energy or if they’ll be home alone most of the time, then to prevent them from becoming destructive out of boredom, hiring a dog walker is highly recommended. Third, puppies are adorable but they like to explore everything (usually via their mouths), make messes and will require a lot of your time to train- so if you’d rather skip the housebreaking stage, consider adopting an adult instead! Lastly, in addition to lining up a walker, sitter, groomer, trainer and veterinarian, might we suggest adding a pooper scooper service to that list? Puppies grow at an astonishing rate and will eat a lot to fuel that growth and as a result, they will also poop a surprising amount! Even with a lot of preparation, bringing home a new puppy can be stressful- especially for first time dog owners. Cleaning up after your pet can sometimes feel like the straw that broke the camel’s back- but it doesn’t have to be! Scoopy Doo’s in Longmont provides a very affordable pooper scooper service on a regular schedule so you can forget about the back end of your puppy and focus on belly rubs!